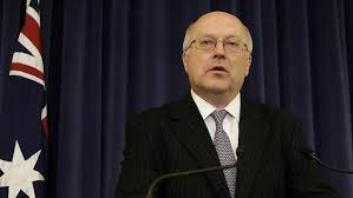 George Brandis, the Australian Legal Consulter, pronounced that the Australian Government has recognized East Jerusalem as the Capital of Israel.According to the Israeli newspaper, Haartz, Brandis stated that East Jerusalem is not an occupied area and that it is the capital of Israel and using the term of occupied East Jerusalem is affecting the State of Israel in a negative way. The Australian Parliament Member argued with Brandis’ statement within the discussion about the Palestinian - Israeli conflict. The Australian recognition of East Jerusalem as the capital of Israel is argued within the International institutions and communities, who recognize East Jerusalem as an area under occupation. Israeli Defense Minister, Moshe Ya'alon, called on the Israeli Government of Benjamin Netanyahu to act on controlling the Gaza Strip, and to disarm the Hamas movement, along with other armed resistance groups in the coastal region. Ya’alon claimed that Abbas cannot control Gaza, and that Israel wants to disarm the Hamas movement. His statements came during a meeting with international military attachés. “Abbas cannot control Gaza; after signing reconciliation agreement with Hamas, we are demanding him to disarm it”, the Israeli official said, “If he fails to do so, then this reconciliation is just a hoax, meant to delude public opinion”. 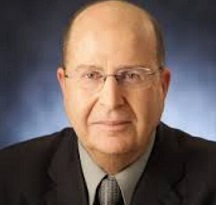 Ya’alon claimed he “wishes for peace with the Palestinians”, and alleged that the Palestinian leadership is not moderate “as it refuses to recognize Israel as a state for the Jewish people”. “The Palestinian leadership is not interested in ending the conflict”, the Israeli official added, “There is no use of dealing with it”. In related news, Israeli daily Haaretz has reported that Netanyahu will be holding a meeting with his cabinet, on Sunday, to discuss more sanctions against the Palestinian Authority for forming a national unity government. Ministers of all coalition parties will be participating in the meeting, while Israel’s Economy Minister, Naftali Bennett, intends to propose a his plan regarding “annexing” Israel’s settlements blocks in the occupied West Bank. On Wednesday, Bennett who also heads the Jewish Home right wing party sent a letter to Netanyahu asking the government to convene in order to discuss more sanction against the P.A. and to present his “Plan B” meant for “annexing” Israel’s settlements in the West Bank. His plan refers to what he called settlements and areas of “extensive Israeli consensus”, and “carry vital security, moral and historical interest”. Palestinian Authority Chairman Mahmoud Abbas received Thursday a telephone call from Turkish Prime Minister Recep Tayyip Erdogan who congratulated him on the Palestinian national reconciliation and the newly formed unity government. The Turkish Premier praised steps taken in preparing for the elections which will strengthen national unity and serve the Palestinian cause. 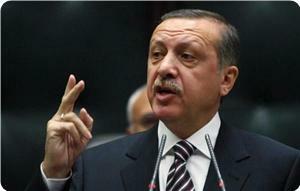 The Turkish Prime Minister invited the Palestinian President to visit Turkey soon. The Palestinian National Football team has jumped ahead 71 places in the FIFA World Rankings following a historic win and their first-ever qualification to the Asian Cup, reaching their highest-ever international ranking. Palestine jumped to the 94th place in the international rankings after moving up 270 points during their drive to reach clinch the Asian Football Confederation Challenge Cup, which pits lower-ranked teams from across Asia against each other and secures the winner a spot in the Asian Cup. Palestine had won four matches and drew one on their way to clinch the AFC Challenge Cup, and earned a place in their first-ever continental tournament, by qualifying for the AFC Asian Cup to be held in Australia in 2015. Their final tournament victory came on May 30 when they beat the Philippines in the final with a curling free kick by Ashraf Numan al-Fawaghra. Palestine won the tournament without conceding a single goal to an opposing team. Palestine's football team is now ranked 10th in Asia. The Palestinian national football team has been around since 1928, but was recognized by FIFA only in 1998. 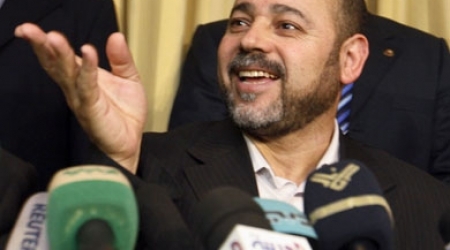 Member of Hamas's political bureau Sami Khater categorically denied news reports talking about differences between officials from his Movement about the reconciliation agreement with Fatah. "There are parties antagonizing the Hamas Movement for many reasons and find nothing to support their attitude but to make up pretexts and visions to strengthen their dreams and wishes about the presence of differences between Hamas leaders," Khater told Quds Press. The official affirmed that the Hamas leadership and its institutions have a united position over the national reconciliation agreement and they are keen on its success. The London-based Al-Quds Al-Arabi newspaper claimed in a report that a source close to Hamas told it that deep differences erupted among the Hamas leadership as a result of the reconciliation agreement with Fatah. Moussa Abu Marzouk, senior member of Hamas' political bureau, called the new Palestinian unity government to deal with its people equally. Abu Marzouk Thursday said, on his Facebook page, that the government has a duty of accomplishing the community reconciliation and unifying the institutions. Clashes broke out in Gaza Wednesday night as part of PA civil servants attempted to withdraw their salaries from banks. Police immediately intervened to protect civilians and the banks and restored order. He added, since Thursday we have talked with Fatah and the government. We solved several obstacles especially refuting the false statements and misleading information published on media. Abu Marzouk noted that the new consensus government has replaced the former governments of the Gaza Strip and West Bank. "In the past, we warned of action that could repeat what happened in the division era. All people should be dealt fairly with no discrimination.” He confirmed. Under terms of a deal signed on April 23, the main Palestinian rivals, Fatah and Hamas, agreed to establish a unity cabinet of 17 independent ministers that would organize long-delayed elections. Palestinian President Mahmoud Abbas swore in a unity government on last Monday after overcoming a last-minute dispute with Hamas. Ministers in the new administration took the oath of office in a televised ceremony in Ramallah, the Palestinian seat of government in the Israeli-occupied West Bank. Three ministers from the Gaza Strip were denied entry to the West Bank via Israel. Islamist Hamas handed control of two government ministries in Gaza to members of the new Palestinian unity government on Wednesday, a further sign of reconciliation between the rival factions after the collapse of peace talks with Israel. Palestinian President Mahmoud Abbas swore in the cabinet on Monday in a deal with Hamas that elicited a U.S. pledge to work with and fund the new administration, setting Washington on a collision course with Israel, which has shunned it. Hamas has run the Gaza Strip since seizing the territory from Abbas's Fatah forces in a brief civil war in 2007. Numerous past fence-mending efforts fell through over power-sharing disputes. The new government's main aim is to facilitate presidential and parliamentary elections to be held within six months, after which a permanent administration is set to take over. In Gaza, new cabinet ministers Saleem Al-Saqqa, a Gaza lawyer, and Mufeed Al-Hassayna, a U.S.-educated engineer took over from outgoing Hamas ministers respectively at the Justice department and the Housing and Public Works ministry. The moderate Abbas, whose Palestinian Authority exercises limited self rule in the Israeli-occupied West Bank and depends on foreign aid, appears to have banked on Western acceptance of a 16-member cabinet of what he described as politically unaffiliated technocrats. Ehab Bessaiso, spokesman for the new administration, said ministers in the West Bank had already assumed their posts and only two more ministries in Gaza remained for handover in the coming days. But he said the new cabinet's ability to function would be harmed by Israeli curbs on officials wishing to cross Israel to travel between the two separated Palestinian territories and called for international help to press Israel to remove the ban. 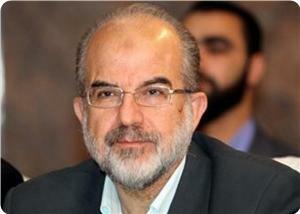 "Restrictions on movement are an attempt to undermine the work of the unity government. It was the first declared step by Israel but it is a tough one and it will affect the mission of ministers so we call on the international community to compel Israel remove these unjust measures," Bessai. Setting a policy in line with U.S. and European Union demands, the Western-backed Abbas said his new administration would continue to honor agreements and principles at the foundation of a peace process with Israel. "The whole world has welcomed the new government, which includes neither Fatah nor Hamas members, and only Israel has stood against (it)," Bessaiso said. The United Nations on Tuesday also lauded the formation of the Palestinian unity government and the European Union voiced preparedness to work with it. Still, while no longer in government, Hamas will maintain ultimate power in Gaza. The unity government will tackle the day-to-day problems of Palestinians only. Decisions about diplomacy and security will be taken elsewhere, and no further peace negotiations are on the horizon. Acting on the agreement with Hamas, Abbas called on the Central Elections Committee to "immediately" begin preparations for the elections. A presidential election was last held in 2005 and a parliamentary vote in 2006. Political rifts between Hamas and Abbas's more secular Fatah faction worsened in 2007, when Hamas ousted Fatah from the Gaza Strip, and have repeatedly scuppered any chance of holding elections. "I hope you (election committee) coordinate with the government, which will use all its capabilities to help prepare for a fair and free general election," Abbas said in a statement. In an effort to regain trust among Gaza residents and the West Bank, Palestinian Prime Minister Rami Al-Hamdallah asked his cabinet members to enable a gradual return of government employees in Gaza to their jobs. In 2007, Abbas's administration ordered them to boycott Hamas control of their offices. The roughly 20,000 government employees appointed by Hamas since 2007 will now be vetted by a committee before they can be added to the new government's payroll. Meanwhile, 20,000 Hamas security men will have their posts reviewed by an Egyptian-led Arab security committee. 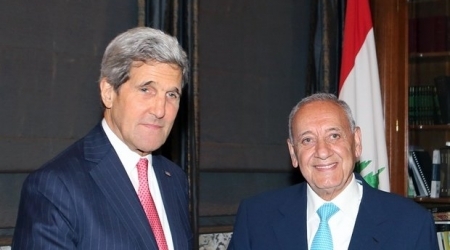 Lebanese parliament speaker Nabih Berri, right, shakes hands with Secretary of State John Kerry in Beirut, Wednesday, June 4, 2014. Kerry said on Wednesday the US would work with the new Palestinian unity government "as we need to" but would be monitoring its commitment to continued cooperation with Israel. Secretary of State John Kerry on Wednesday defended Washington's decision to work with a new Palestinian unity government, saying none of its ministers has ties to the Islamic militant group Hamas. Israel has urged the U.S. and Europe to shun the technocrat government backed by Palestinian rivals Hamas and Fatah. Hamas has been blacklisted as a terror group by the West, while Fatah is led by Western-backed Palestinian President Mahmoud Abbas. Prime Minister Benjamin Netanyahu has said he is "deeply troubled" by the U.S. decision not to cut ties, using unusually blunt language in referring to Israel's main ally. Kerry told reporters during a visit to Lebanon on Wednesday that "Israel is our friend, our strong ally," but didn't budge from the position announced by the State Department shortly after the unity government was sworn in Monday. The secretary noted that Abbas has said the new government would follow his Western-backed policies, including continued security coordination between his forces and Israeli troops in the West Bank. Kerry said the U.S. will watch the new government closely, but that based on Abbas' pledges, "we will work with it as ... is appropriate." The new government "does not include any ministers who are affiliated with Hamas," Kerry said in his most detailed comments yet on the issue. "We have checked that. In fact, most of the key Cabinet positions — including the prime minister, the two deputy prime ministers, and the finance minister — are the very same as in the prior government." The European Union has also expressed conditional support of the unity government sworn in Monday. The 17 ministers, though nominally independents, are seen as leaning toward Abbas and his Fatah movement or to leftist PLO factions. Abbas needs continued political and financial support from the West to keep the new government afloat. The formation of the technocrat government was a first step in ending a seven-year division following the takeover of the Gaza Strip by Hamas. Since 2007, the rivals have run separate governments, Hamas in Gaza and Abbas in the autonomous areas of the Israeli-occupied West Bank. The new government faces many challenges, including blending two large bureaucracies. 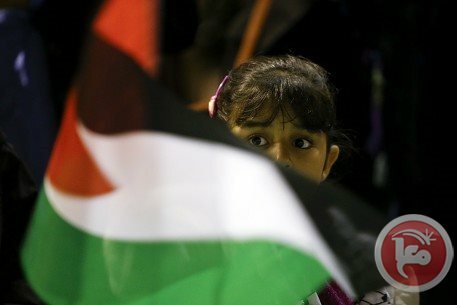 Abbas' Palestinian Authority has some 150,000 on its payroll, including tens of thousands in Gaza who have stayed home from their jobs since 2007. Hamas, meanwhile, has hired more than 40,000 people for its own administration. Rami Mihdawi, the spokesman of the West Bank-based Finance Ministry, said the Palestinian Authority employees would receive their monthly salaries on Wednesday. Meanwhile, it remains unclear if and when the Hamas loyalists will be paid. Prime Minister Rami Hamdallah said committees would be formed to discuss the details of reconciliation, indicating a tough road ahead with lots of opportunities for rancor and dispute. 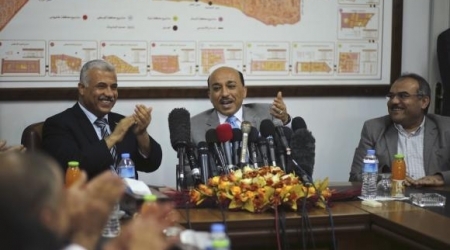 In Gaza, new ministers took over in the justice, housing and labor ministries. Outgoing Housing Minister Yousef Jahriz told employees who had been hired by Hamas that "the new government will work with you and take care of your salaries." He said the former employees, who have stayed home since the takeover, "are welcome to return."